Another theme for Drupal 5.x. This is a modified version of one old themes I've done. The project is located on the Drupal website too. 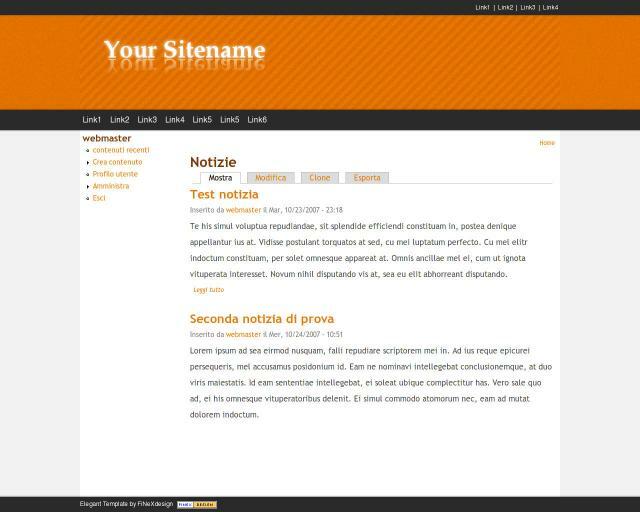 Third theme for Drupal 5.x. This is the port of a theme I've done for Drupal 4.7. There is still some work to do, it use tables and the code should be cleaned a bit. This is my second public theme for Drupal 5.x. I've done a new theme for Drupal 5.x.